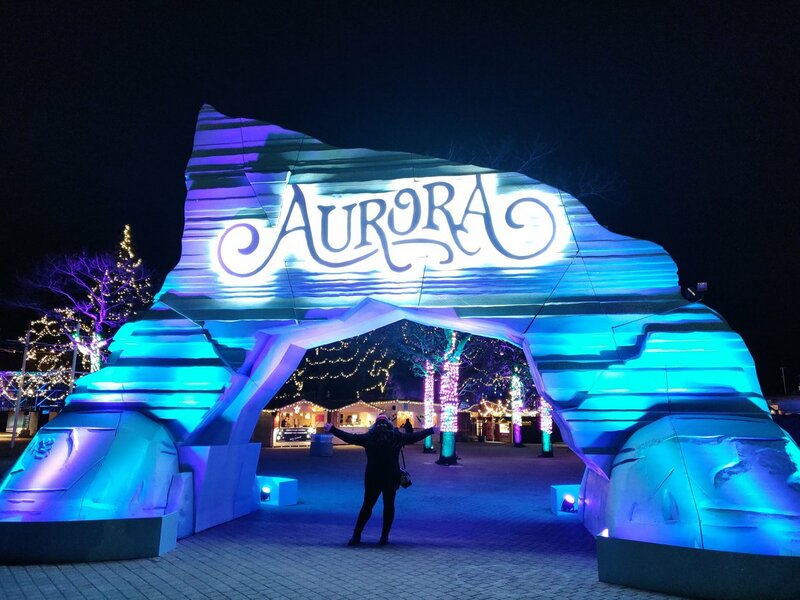 The Aurora Winter Festival inspires the festive spirit through magical winter experiences. 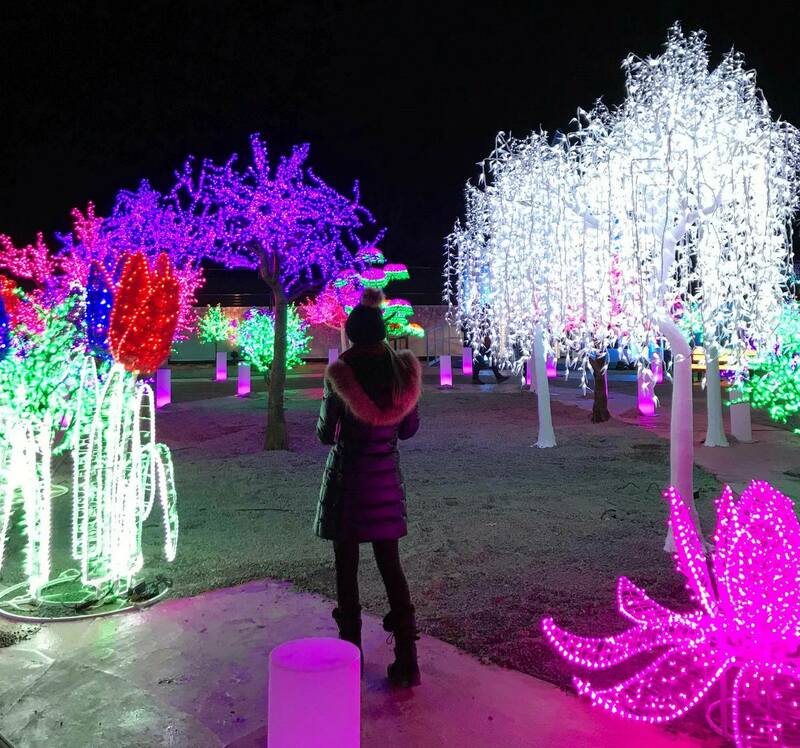 Escape into a hidden village by the North Pole filled with captivating Christmas light displays and magical characters, and enjoy the market huts, food gardens, amusement rides, live entertainment, and plenty of other exciting activities. 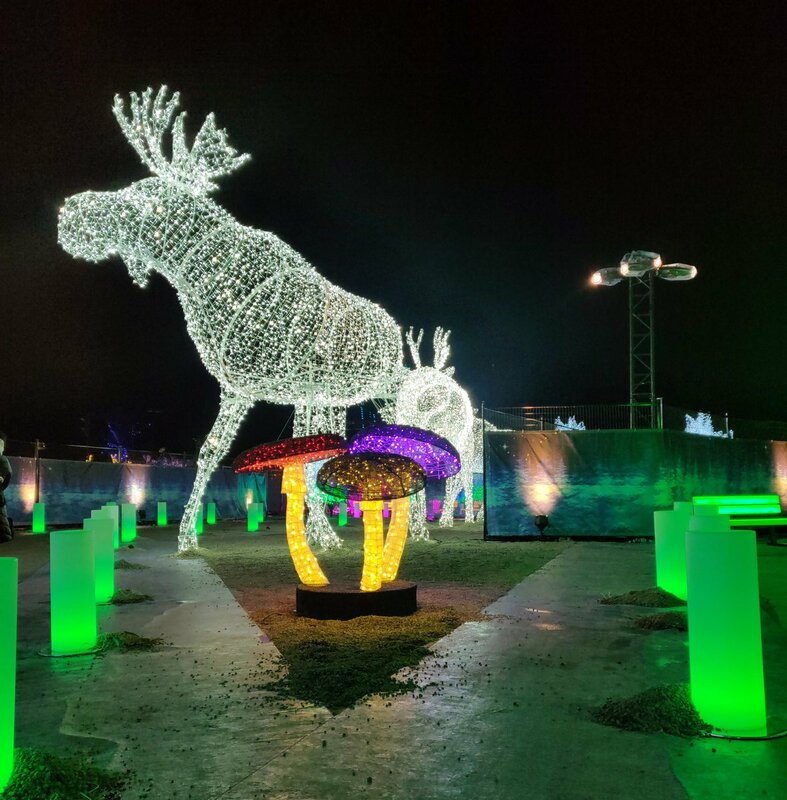 From visiting Santa’s Workshop to lacing up your skates on the Frozen Pond, there is something for every age at the Aurora Winter Festival. 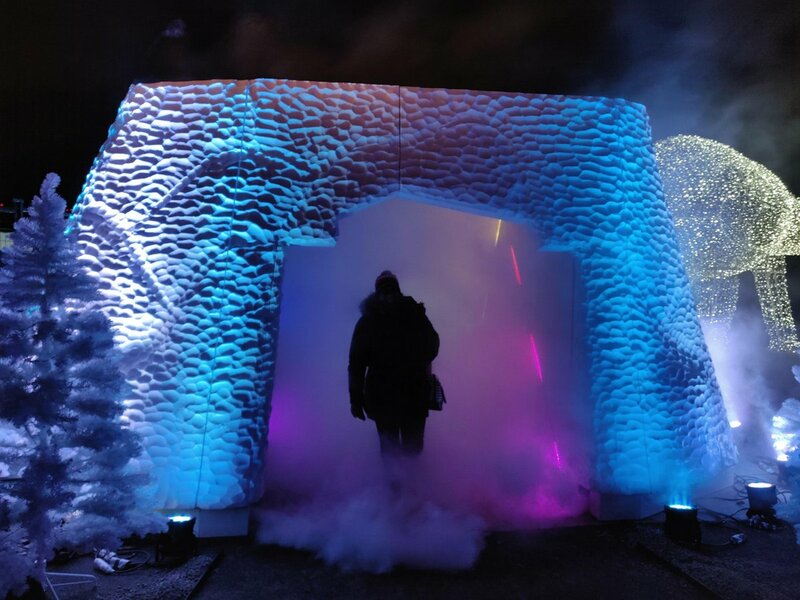 When you arrive, you enter through a beautiful northern lights inspired gate. There are small buildings where you can find craft goods, foods and snacks. If that’s not enough, there are also several food trucks. 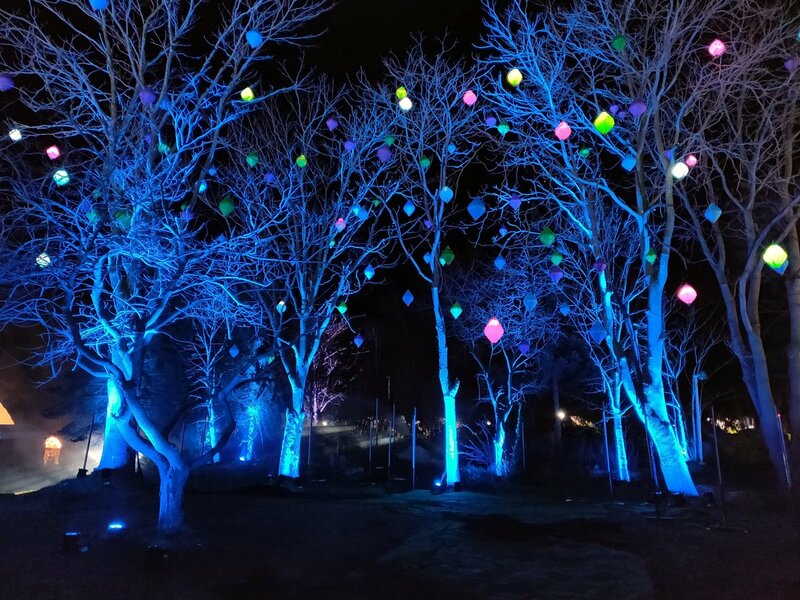 As you explore the space, you encounter light displays and characters like elves. 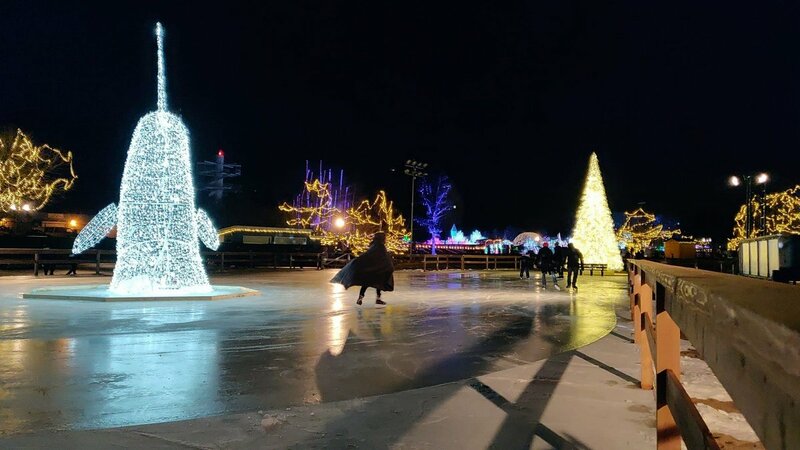 Bring your skates to go skating on the pond, or you can rent a pair if you need one. 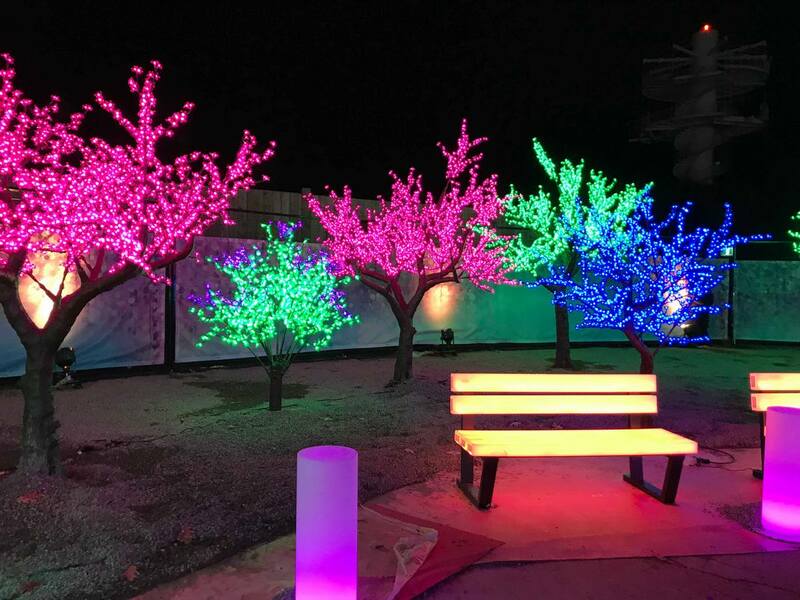 There are a few different areas that have spots to warm up, light displays to discover and fun. At the Disco Den you’ll find the DJ Ice Elf, Elyon and other characters. 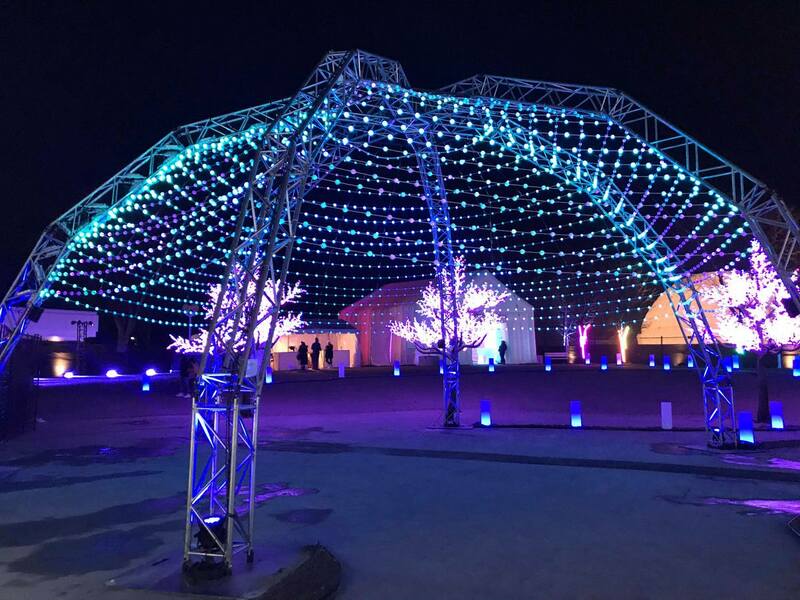 There are giant animal sculptures, a yeti cave with dry ice, and an LED dance floor. 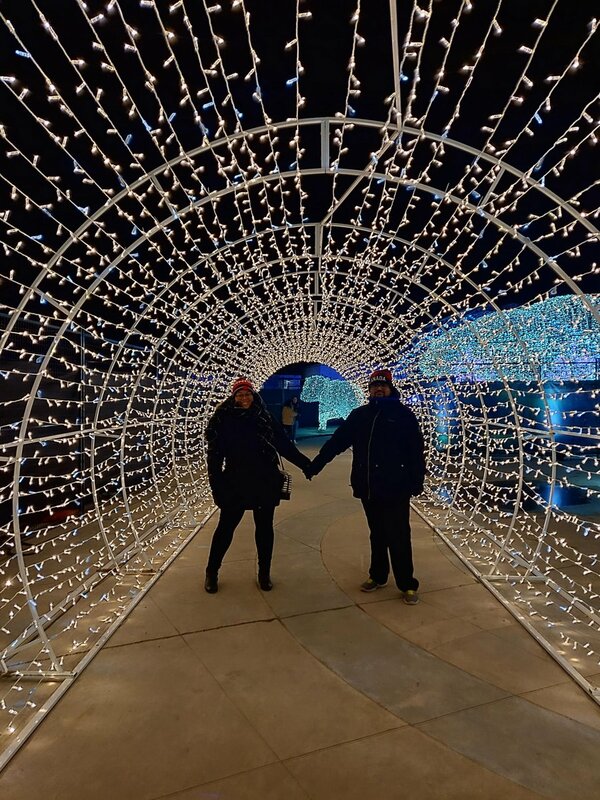 You can walk through a pretty light tunnel…. Little (and big ones) can enjoy the rides, including a carousel, ferris wheel and tube park. You can also visit with Santa. Cocktails and non-alcoholic drinks for kids are available. 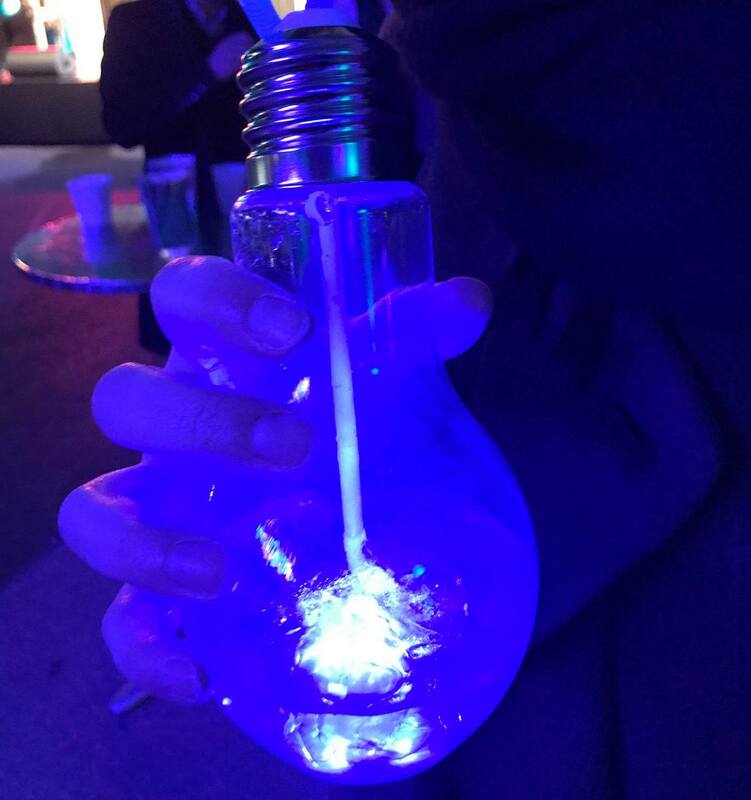 I loved this light bulb glass! 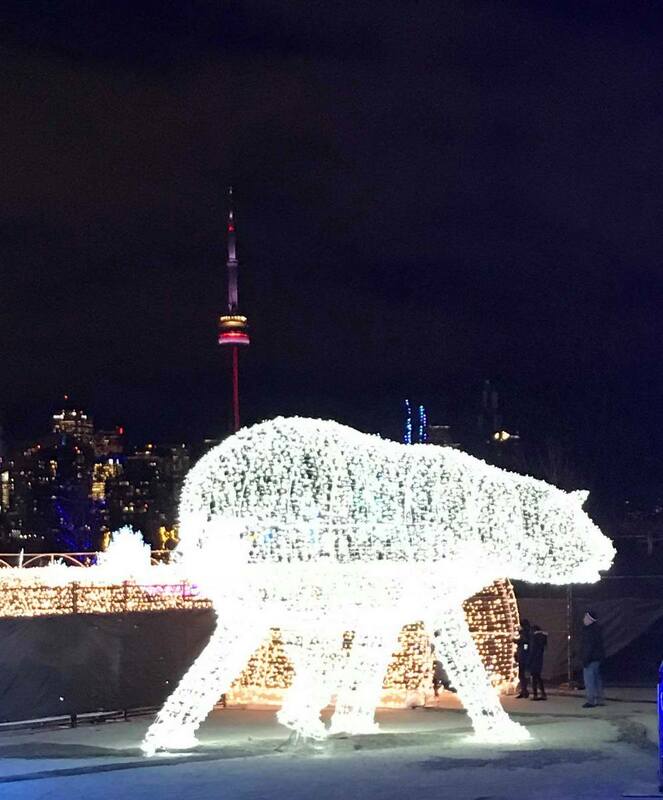 The Aurora Festival takes place at Ontario Place, East Island and runs from November 29th to December 30th. Tickets are $15 for kids, and $20 for adults. I’m kicking off my holiday giveaways by giving you the chance to experience the festival! 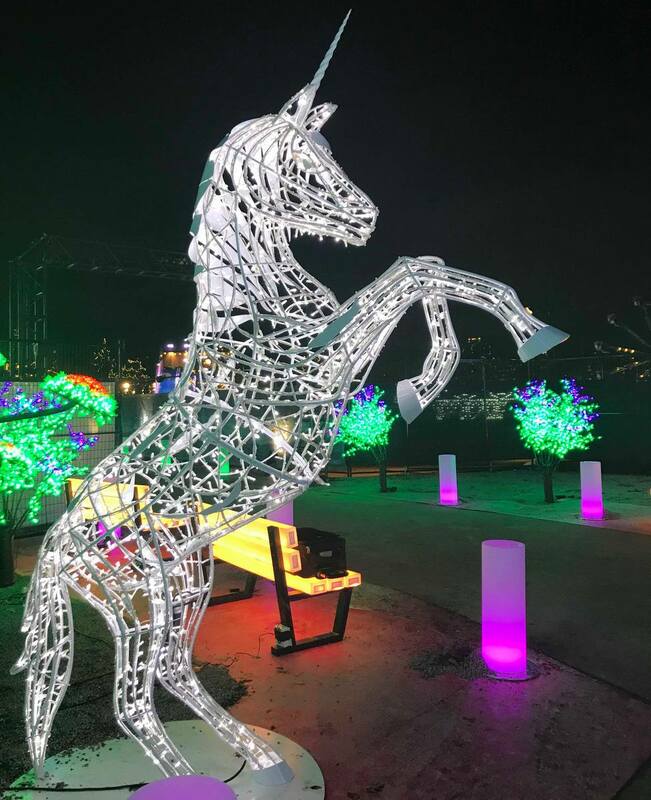 Enter below to win a family pass for 4.